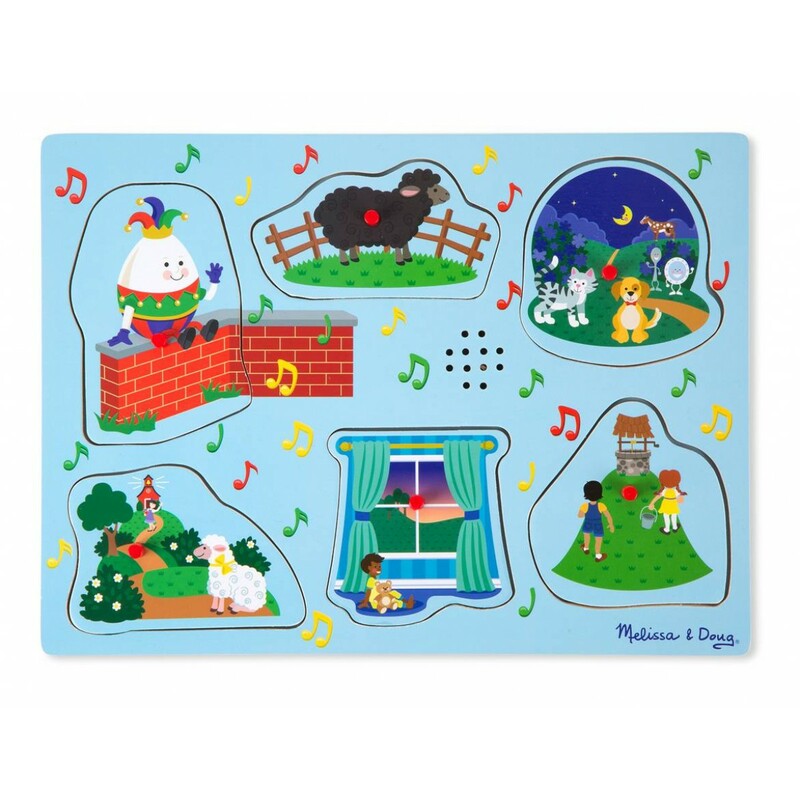 Match the six illustrated wooden puzzle pieces to the pictures in the beautifully carved wooden puzzle board to hear six different nursery rhymes. Plastic pegs make it easy for small hands to grasp and manipulate the pieces. This puzzle includes the Nursery Rhymes Humpty Dumpty, Baa Baa Black Sheep, Hey Diddle Diddle, Mary Had a Little Lamb, Twinkle Twinkle Little Star, and Jack and Jill. A great way to develop matching and listening skills and lyrics are included on the puzzle so kids can sing along as they complete the puzzle. Product Dimensions : 11.75" x 8.75" x 0.75"